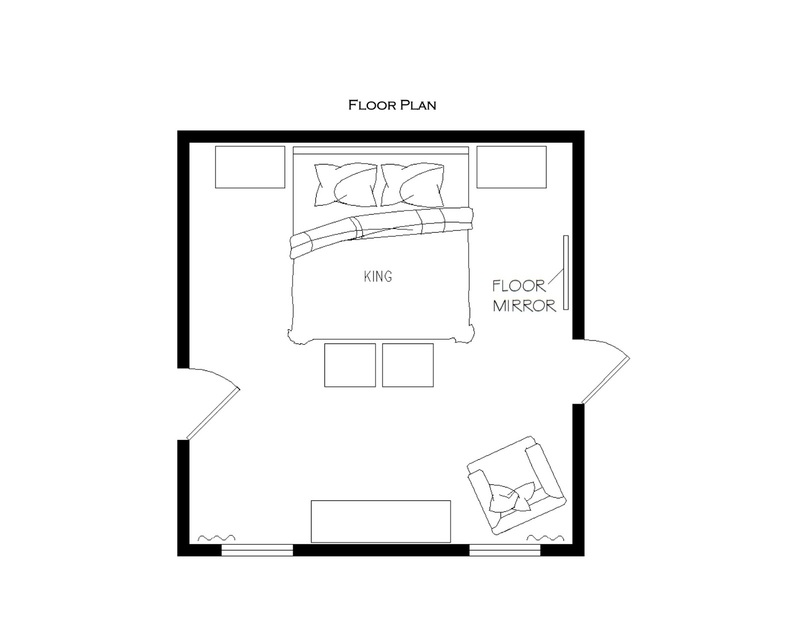 Today's featured design plan is an exciting project we just created for an exciting time in our client, Kelly's life. Not only did she just buy a brand new home, but this home will be where her and her newlywed husband start their new life together after their wedding next month! 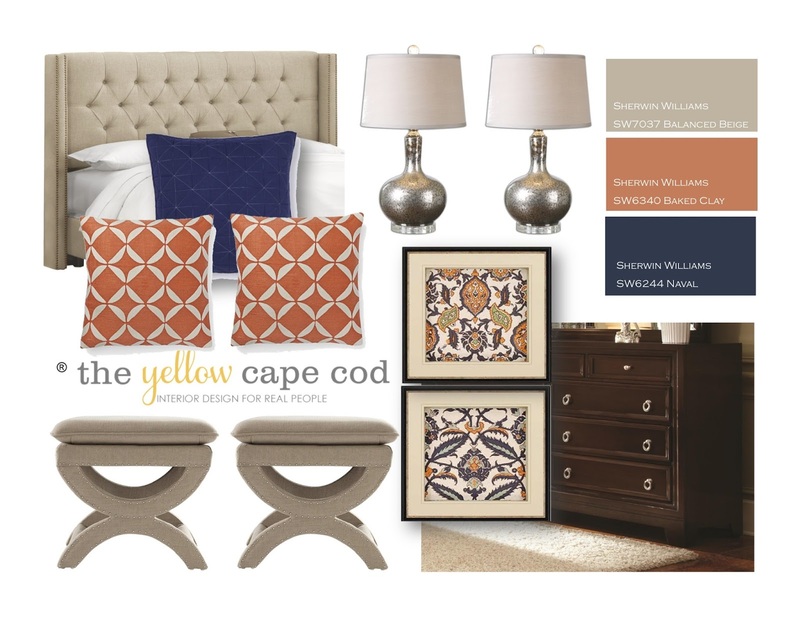 After consulting with Kelly through our design questionnaire and viewing photos/measurements of the space, we got busy creating a custom design plan based on her lifestyle, budget and style preferences. We provided her with a true to scale floor plan illustration, a complete product source list (shopping list), a custom paint color palette and step by step instructions on putting the new design in place. 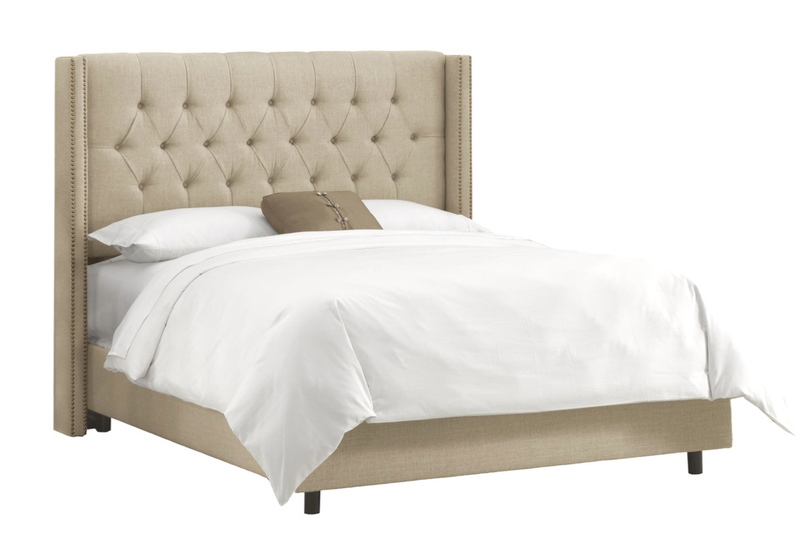 We started the new room by selecting a fabulous new king sized bed featuring an upholstered headboard with tufting. 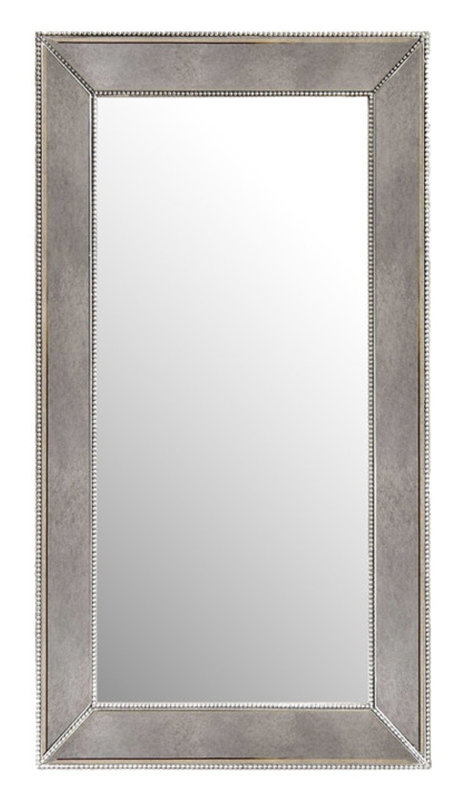 The slight wings on the sides with nail heads add so much sophistication and glamour to this bed from Wayfair. Instead of one large bench at the foot of the bed, we recommended two smaller stools. These stools from Home Decorators are extra special due to their interesting shape. 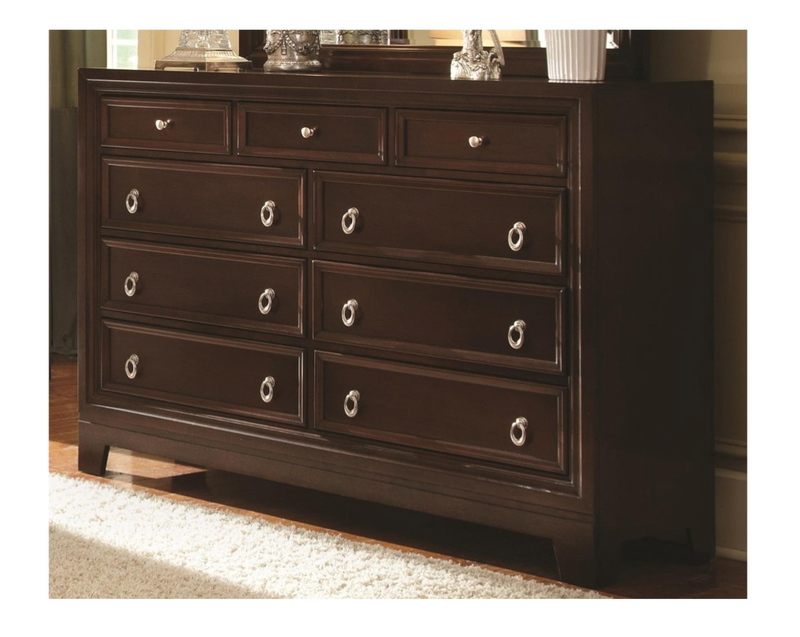 For richness and contrast, we incorporated a beautiful dark wood dresser and coordinating bedside tables. The hardware on these pieces is absolutely gorgeous. Since we are mounting the flatscreen TV over the dresser, the extra tall dresser is the perfect height. 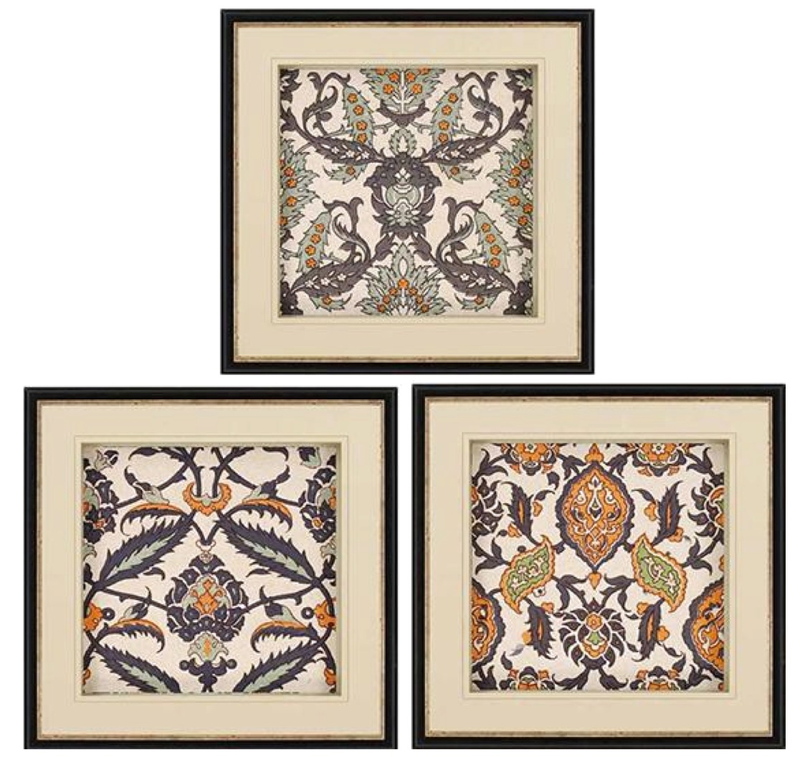 For color, pattern and interest we introduced these fantastic framed prints. 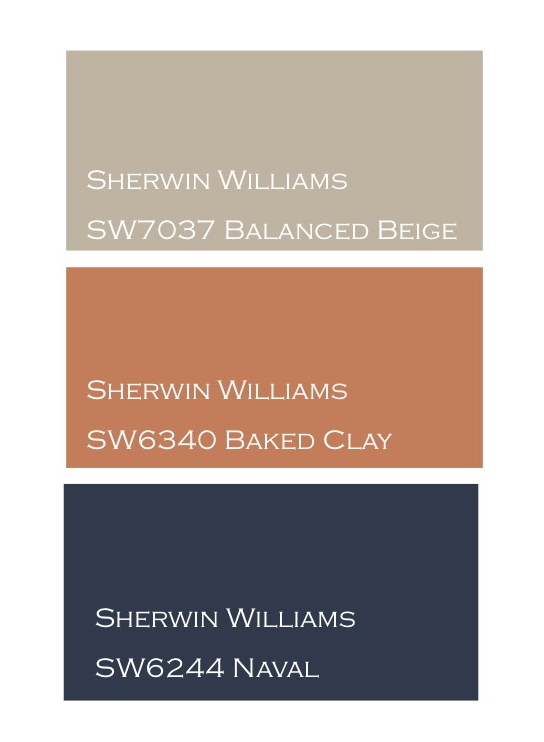 The palette of blue, beige and terra cotta was the perfect compliment to this design. We kept the bedding simple and elegant. 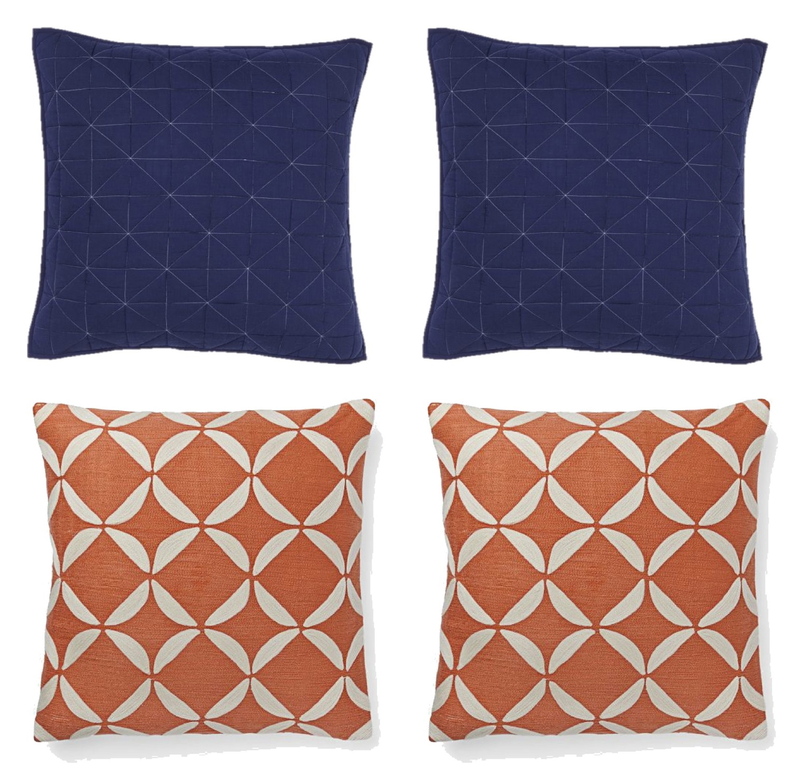 We paired a white duvet with greek key detail from Potterybarn with a navy blue coverlet and a fun mix of patterned toss pillows. 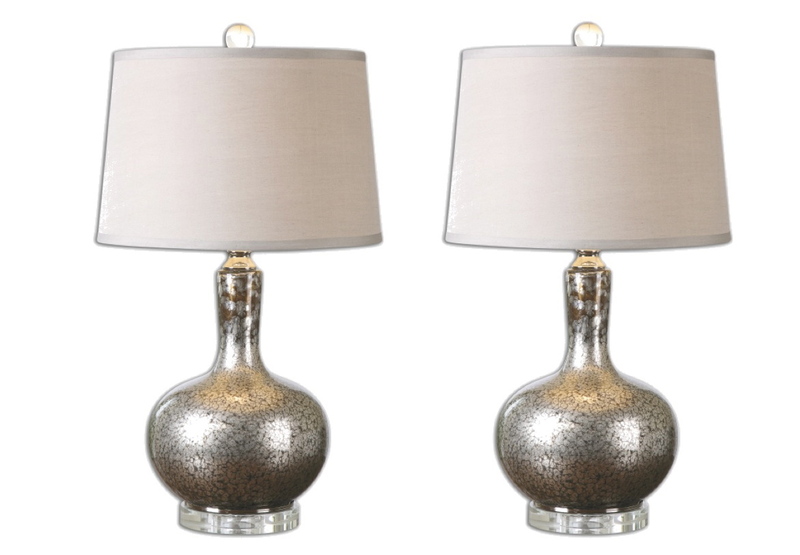 For task lighting and a dramatic way to frame the new bed, we placed one of these incredible copper and mercury glass lamps on each bedside table. These lamps are large in scale which is exactly what we needed next to the large headboard. 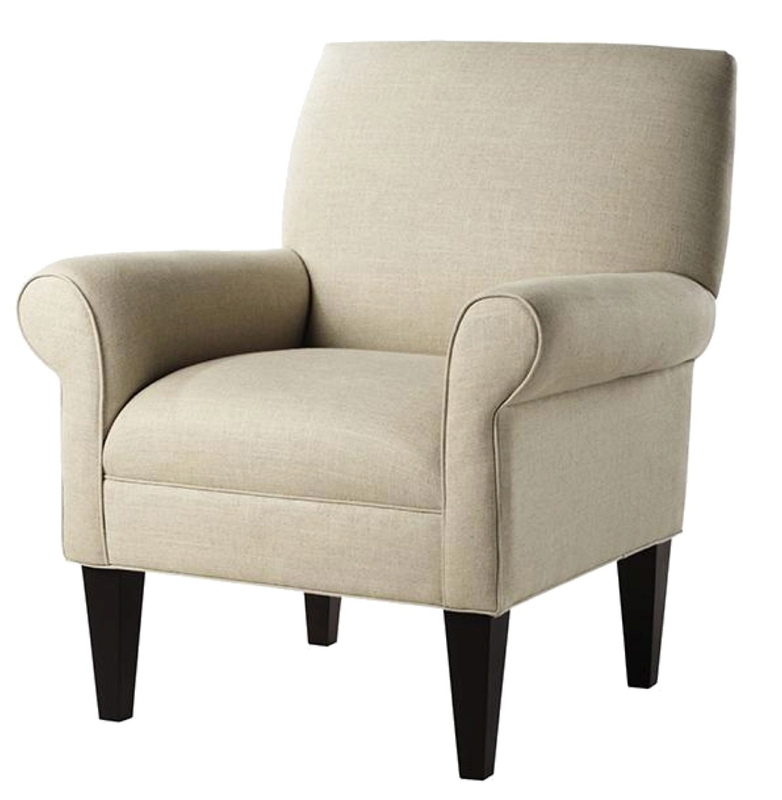 Kelly has the perfect corner for a small scale upholstered chair like this one from Home Decorators. With a cozy throw and a pretty toss pillow, this will make an attractive and comfortable reading nook. This chair is also light enough that it can be easily moved for TV viewing. These are just some of the suggestions and items we recommended for Kelly's new retreat. Thank you Kelly for giving us this opportunity to design for you. Best of luck with your wedding and new home. Enjoy your new master bedroom. 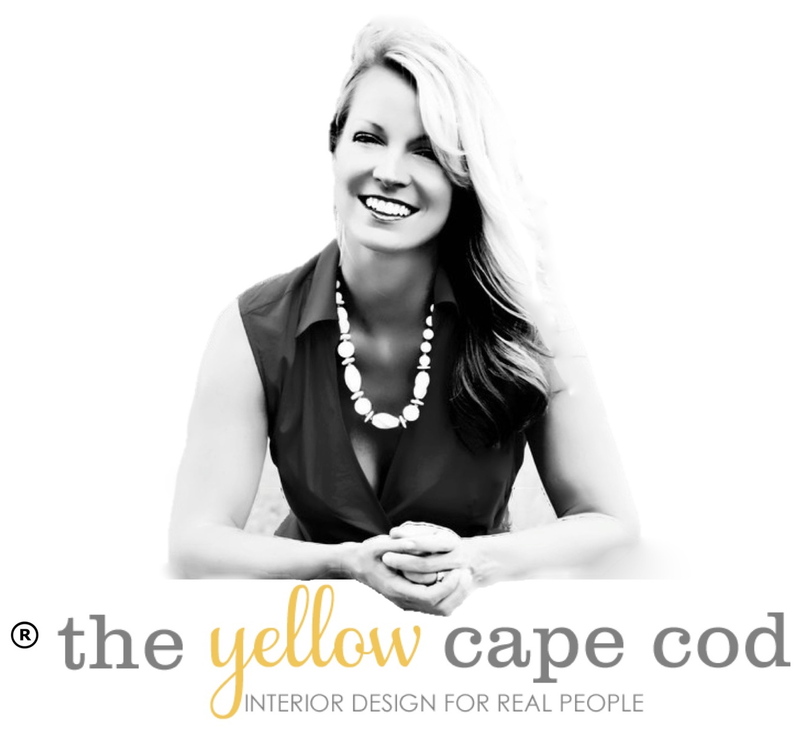 If you have a space in your home that needs a little love, I'm now accepting new design projects!